Designers Fountain Decorative Collection 3-Light large ceiling fixture in satin platinum finish, features white alabaster shade that brings elegance to the home. This designers value style fixture supports three 60-Watt incandescent lamps that have voltage rating of 120-Volts. 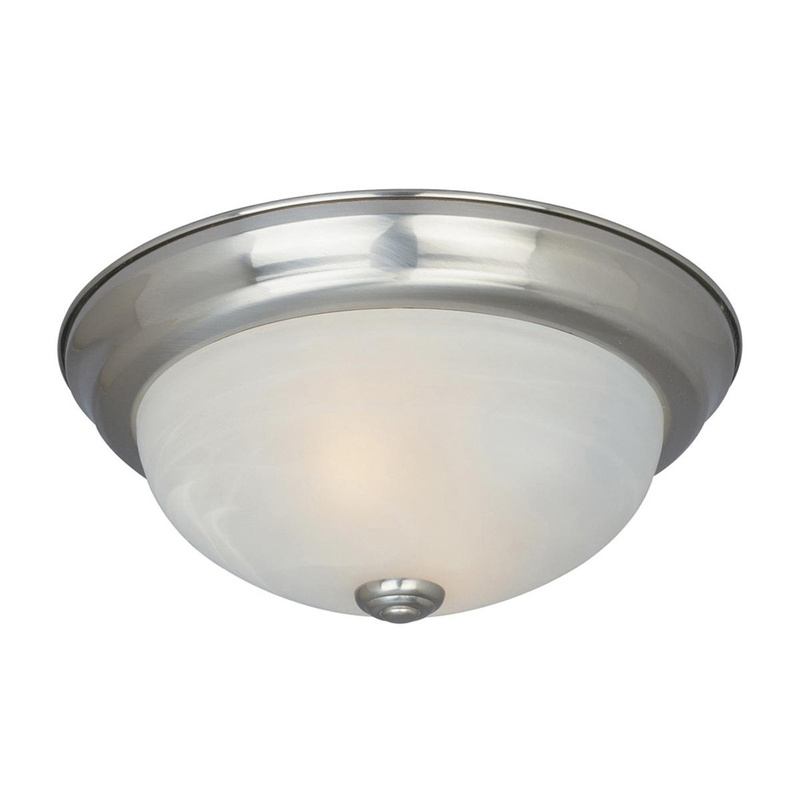 This flush mountable fixture measures 15.25-Inch x 5.5-Inch. It is ideal for bedroom, hallway, entry and utility. Fixture is UL/cUL damp location listed.